The Week in History, Issue 2. 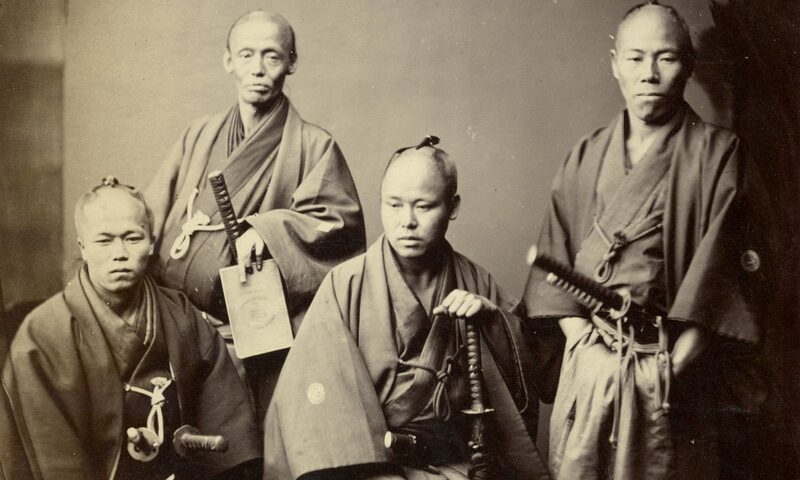 A roundup of last week’s coolest historical events. 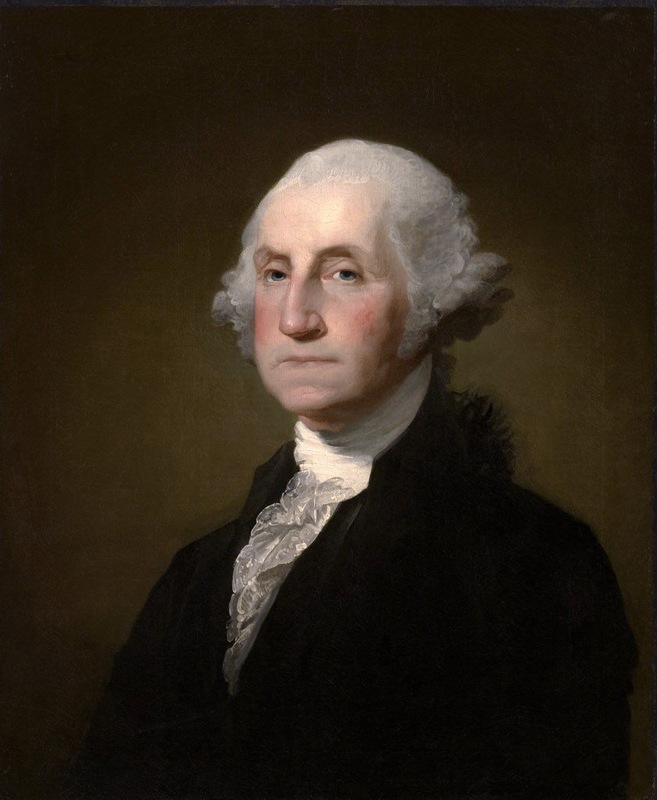 Issue 2: Wednesday 22 February (1732) George Washington is Born. 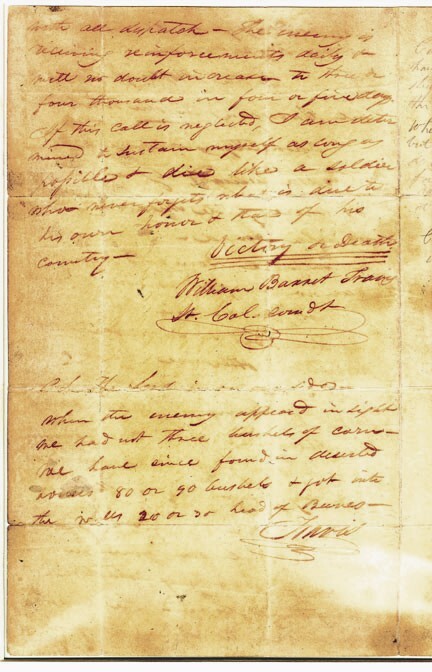 Thursday 23 February (1836): Siege of the Alamo Begins, (1820) Cato Street Conspiracy Foiled. 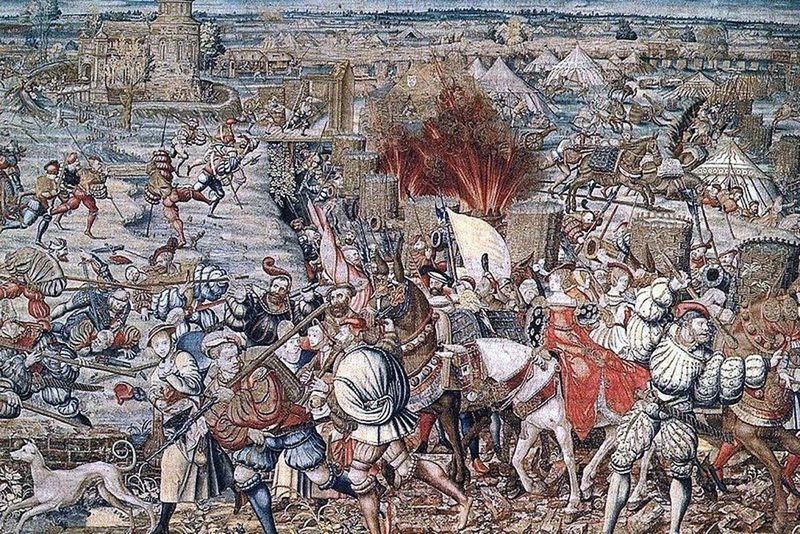 Friday 24 February (1525): Battle of Pavia. 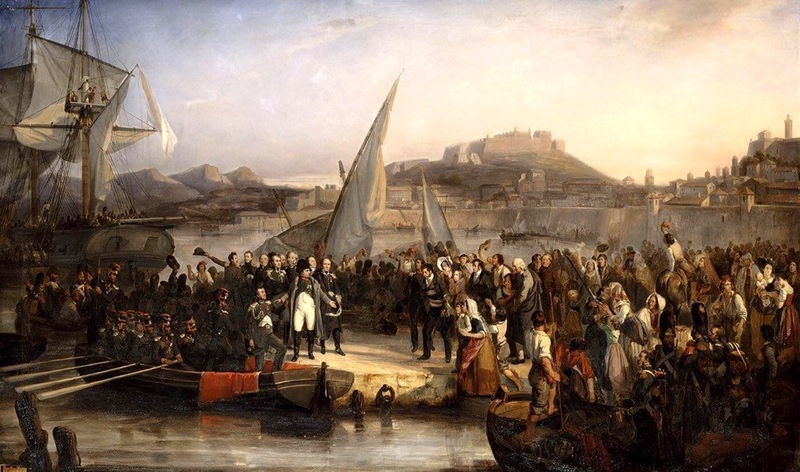 Sunday 26 February (1815) Napoleon escapes from Elba. That title quote comes via Benjamin West and Rufus King from the lips of no less a person than George III, who nonetheless pales as a man in the eyes of Thomas Paine, when set beside the immortal Washington. Rights of Man, 1791-92. Thomas Paine. “Victory or Death” in Texas. Santa Anna gets allot of stick for his string of defeats against the USA, but back when Texas was Tejas, and the issue was about the Mexican constitution, he did get the drop on the Republican Rebel Garrison of San Antonio. After a surprise victory, the Texians were equally surprised to find Santa Anna knocking at the gates of the Alamo one winters morning. Colonel Travis’ fatalistic streak is plain to see from the get go. This written the day after the Mexicans occupied Bejar. Arrest of some “Diabolical” Plotters. condition. They are the property of General Watson, and have been recently in the possession of an old servant of his, who had turned cowkeeper. From this man they had been engaged by some of the diabolical crew whose machinations have been so happily discovered. The people in Cato-street were utterly ignorant that the stable was let until Wednesday, when several persons were seen to go in and out, and carefully to lock the door after them. Some of these individuals carried sacks, and parcels of various descriptions. For two or three hours previous to the entrance of the stable, the police officers were on the spot, making their observations, but still no suspicion was excited of the real object of their attack ; and so well was the plan of surprise laid, that, until the discharge of fire-arms was heard, every thing remained perfectly quiet. Thus accurately informed of the intentions of the conspirators, warrants were issued to apprehend them while they were assembled. These warrants were put into the hands of the police officers, under the able direction of Richard Birnie, Esq., the chief magistrate of Bow-street. A detachment of the Coldstream Guards from Portman-street barracks, were also ordered to accompany the police-officers. They proceeded to the place of meeting in Cato-street, the police-officers proceeding first. The conspirators had taken the precaution to place a sentinel below. The military consisted of the picket-guard of the 2nd Coldstream Regiment, which was stationed in Portman-street barracks. It consisted of thirty men, including a sergeant and corporal, and commanded by Captain Frederick Fitzclarence, who happened to be on duty at the time. They were called out about a quarter to eight o’clock; each man provided with twenty rounds of ball cartridge. The detachment immediately proceeded ill the direction of the Edgware-road. The men were not acquainted with the business on which they were called out. They supposed a fire had taken place, and that they had been sent for to protect the property. On their arrival within about sixty yards of the house in Cato street, John-street, the place of the meeting, they were halted for a few minutes, during which they were ordered by Captain Fitzclarence to fix bayonets and shoulder arms. They were also enjoined to observe the strictest silence. The detachment then marched on, but had not proceeded more than a few yards when they heard the noise of fire-arms. They were then ordered to advance in double quick time, and instantly came in junction with the civil officers, who had arrived previously on the ground, and were engaged with the party in the house. The only approach to this pandemonium was by a narrow ladder. Ruthven, one of the principal Bow-street officers led the way, and he was followed by Ellis, Smithers, Surman, and others of the patrol. On the door being opened, about twenty-seven or thirty men were seen within, all armed in some way or other; and some of them engaged either in charging firearms, or in girding themselves in belts similar to those worn by the military, while others were in close and earnest deliberation. There were tables about the room, on which lay a number of cutlasses, bayonets, pistols, sword-belts, pistol balls in great quantities, ball-cartridges, &tc. As the officers entered the room, the conspirators all started up, when Ruthven, who had been furnished with a warrant from the magistrates, exclaimed — “We are peace officers lay down your arms!” In a moment all was confusion. The notorious Arthur Thistlewood, opposed himself to the officers, armed with a cut and-thrust sword of unusual length. 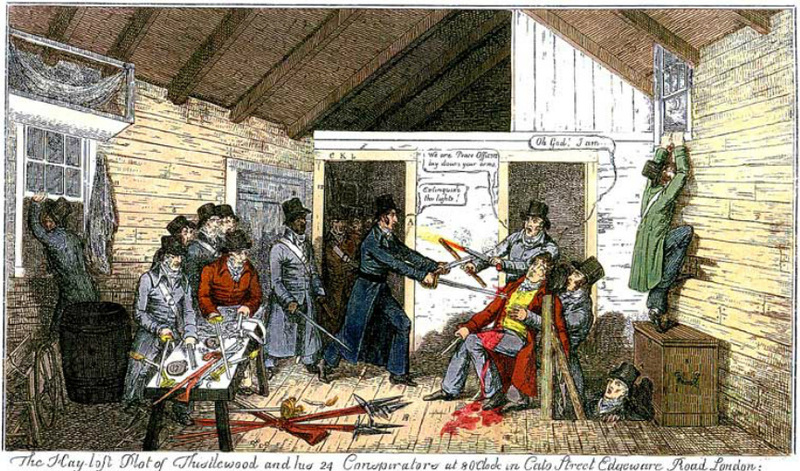 Ruthven attempted to secure the door, and Ellis, who had followed him into the room, advanced towards the man, and, presenting his pistol, exclaimed “Drop your sword, or I’ll fire instantly !” Thistlewood brandished his sword with increased violence, when Smithers, the other patrol, rushed forward to seize him; and on the instant the ruffian stabbed him to the heart. Poor Smithers fell into the arms of his brother-officer, Ellis, exclaiming — “Oh, God! I am-” and in the next instant was a corpse. Whilst this deed was doing, the lights were extinguished, and a desperate struggle ensued, in which many of the officers were severely wounded. Surman, one of the patrol, received a musket-ball on the temple, but fortunately it only glanced along the side of his head, tearing up the scalp in its way. The conspirators kept up an incessant fire ; whilst it was evident to the officers that many of them were escaping by some back way. Mr. Birnie exposed himself every where, and encouraged the officers to do their duty, whilst the balls were whizzing round his head. George T Wilkinson. An authentic history of the Cato-Street conspiracy. The Capture of a King. The decisive victory of the Italian Wars famously saw the French King lose everything but his honour. An Eagle Flies the Nest. Napoleon had been preparing for days to leave Elba, but his window of opportunity was closing, having already bluffed Captain Adye into thinking all was well, he was now at the mercy of the weather. Napoleon, King of Elba Paul Gruyer. 1906. See you again for another adventure in Historyland. Josh. Previous PostPrevious Book Review: Breaker Morant The Final Roundup by Joe West & Roger Roper. Next PostNext Book Review: A British Lion in Zululand by William Wright.